A focal spot of the campus is the Belhaven Lake. 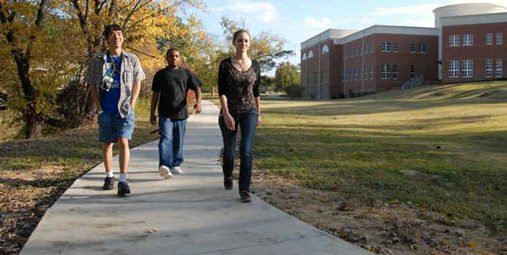 Surrounded by a tranquil walking path and shaded benches, students frequently spend hours on its banks. Gillespie Hall, a new women’s residence facility, overlooks the lake. In 1998, the lake was deepened and confined. Covering about two acres, the lake will soon be accentuated with fountains and attractive lighting. A popular “fishing hole” for neighborhood children, the lake was in years past the site where newly “pinned” or engaged students were baptized by its cool waters. 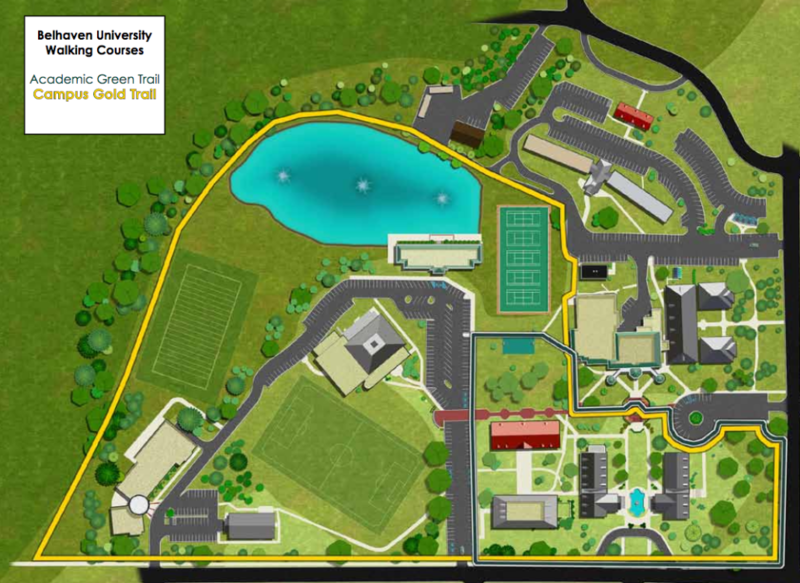 Belhaven has two campus trails. The trails are built around the campus and overlap one another. about Belhaven events, news & neighborhood happenings! Art for the Park 2019 is set for Thursday, April 25!